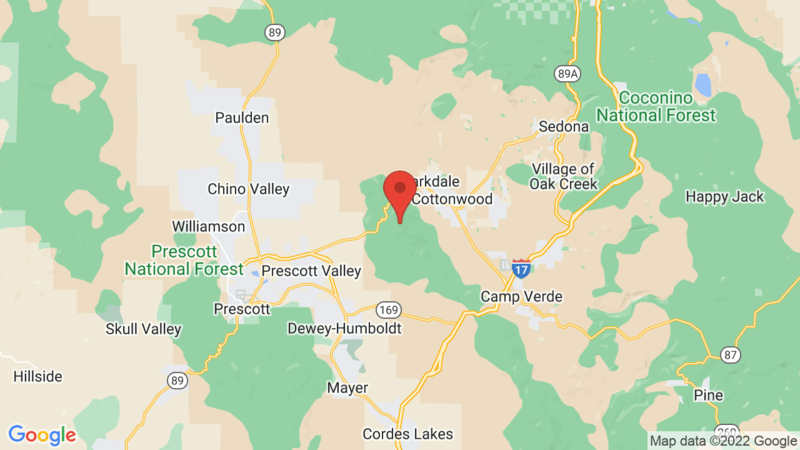 Mingus Mountain Campground is located in the Prescott National Forest offering spectacular views of the Verde River Valley, the red rocks of Sedona, and the San Francisco Peaks near Flagstaff. You’ll need to drive about 3 miles on a (nice) dirt road to get there, but the drive is worth it and not an issues for RVs or trailers. The first-come first-serve campground has 30 campsites for tents, trailers and RVs (19 with electric hookups). Campsites 1-11 are tent only. Campsites 12-30 are for tents, trailers and RVs. There are also vault toilets, but no drinking water (so bring your own). Each campsite also has a table, fire ring and grill. Outdoor recreation includes OHVing, mountain biking, horseback riding, hiking, stargazing and picnicking. There are a few day-use picnic areas in Mingus Mountain Recreation Area. There’s also a small fishing pond/lake. The historic town of Jerome is a short 11 mile drive down the hill. Potato Patch is another campground located nearby. It has 40 campsites for tents, trailers and RVs. Visted Mingus Mountain Campground lately? We'd love to hear about your adventure. Did you find us useful? Did we forget something? Anything our community should know before heading out to Mingus Mountain?